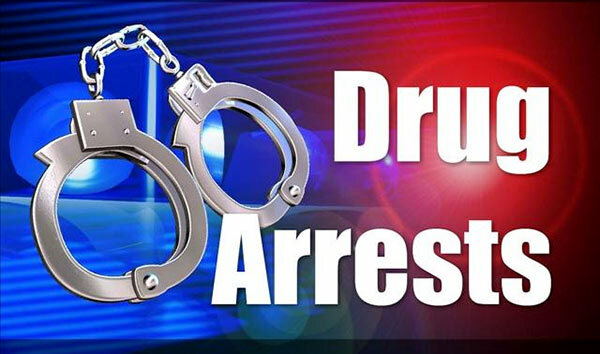 Five suspects, including three foreigners, were arrested yesterday (22) for possessing 95.88 kilogrammes of heroin valued at a staggering Rs 1,100 million. Among the arrested trio of foreigners are two American nationals and an Afghan. They were arrested last morning while at a supermarket complex in the Kollupitiya area. Police seized one kilogram and 62 grams of heroin during the arrest. The second raid was made based on information acquired during interrogation of the three foreign suspects. Two Sri Lankan nationals were subsequently arrested in a luxury apartment complex for possessing 94 kilos and 26 grams of heroin. According to the Police, the drugs were hidden in four travelling bags. Further, nine mobile phones, three laptop computers and a IPhone were found during the second raid. It was reported that the two Sri Lankans are residents of the Hikkaduwa area. According to Police Spokesman Ruwan Gunasekara, the arrests were made during raids carried out by the Police Special task Force (STF) and the Police Narcotics Bureau (PNB). Gunasekara further said that no American national had been arrested for possessing heroin since 1994 and no Afghan was arrested for a similar offence since 2008. The suspects are currently in the custody of the PNB. Death penalty for the 2 Americans? Interesting case.